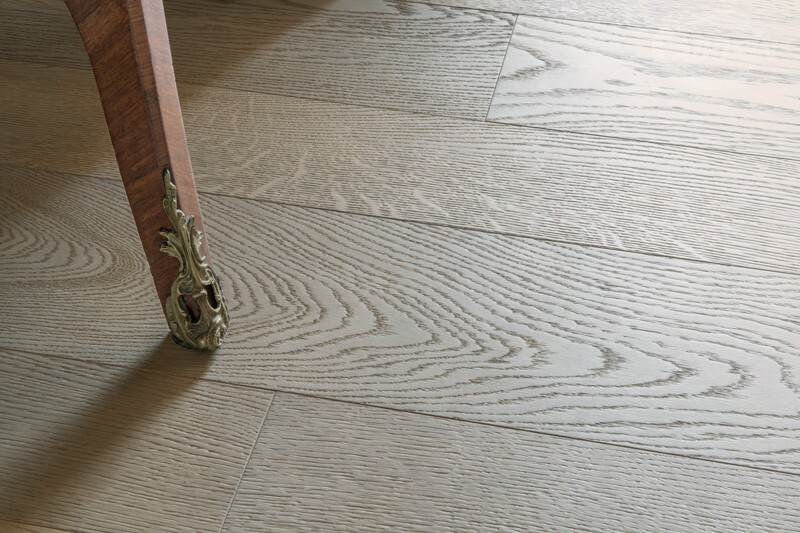 Select or Small Knotted European Oak planks in GREY SAND finish. 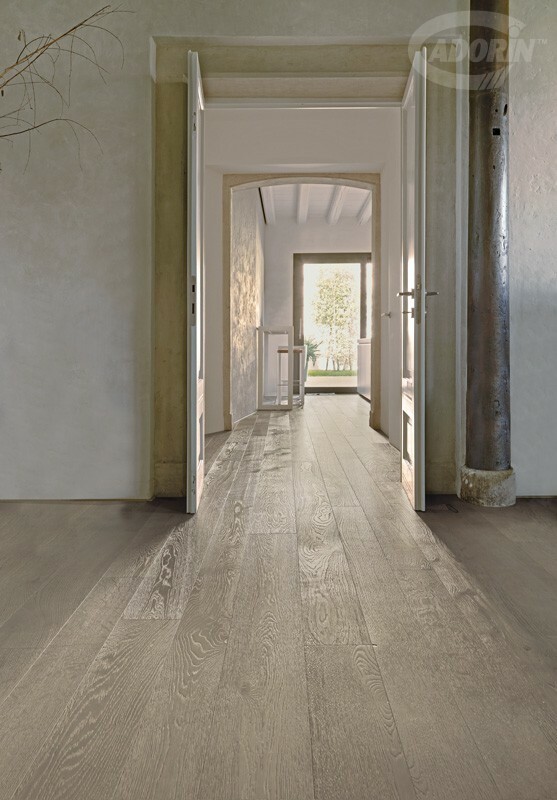 A handcrafted wood flooring with elegant refinement. 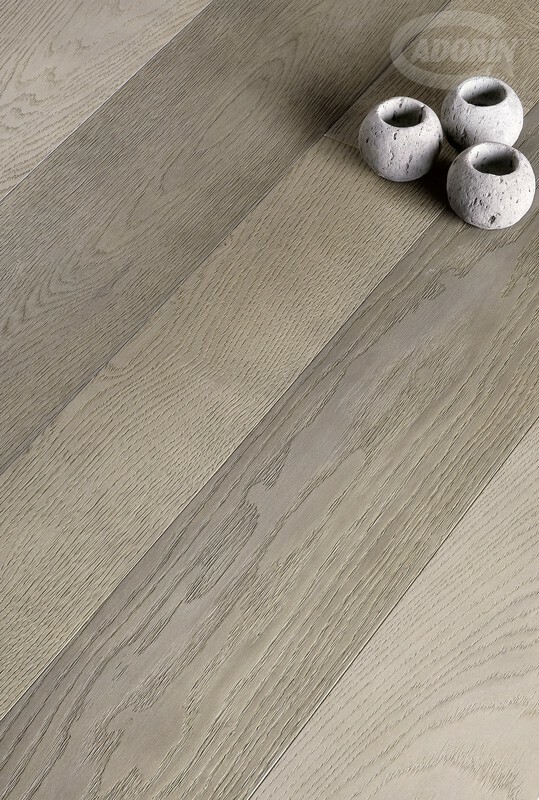 This elegant grey overlapping, simulating the colour of sand, emphasises the wood grain and highlights its various different shades. 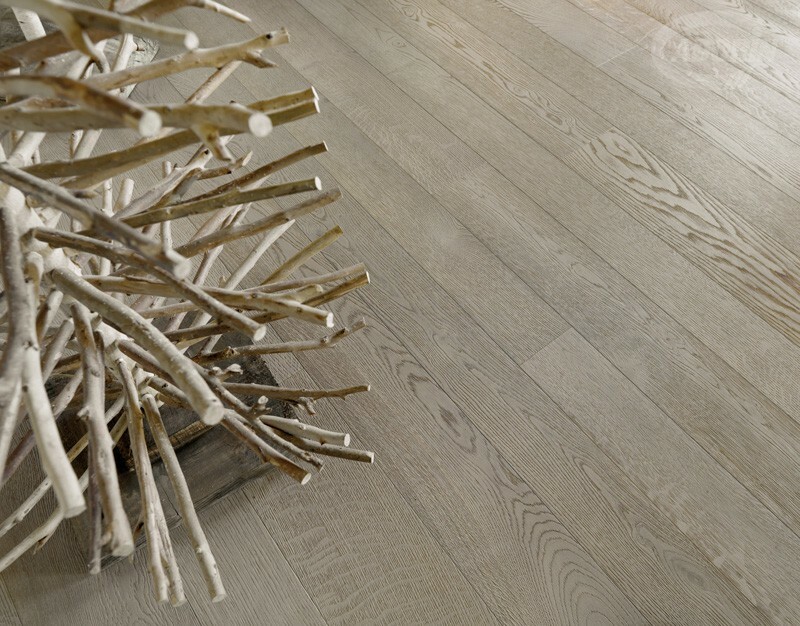 The surface working of brushing draws out every single fibre, whereas the sandblasting accentuates them, making them unique. 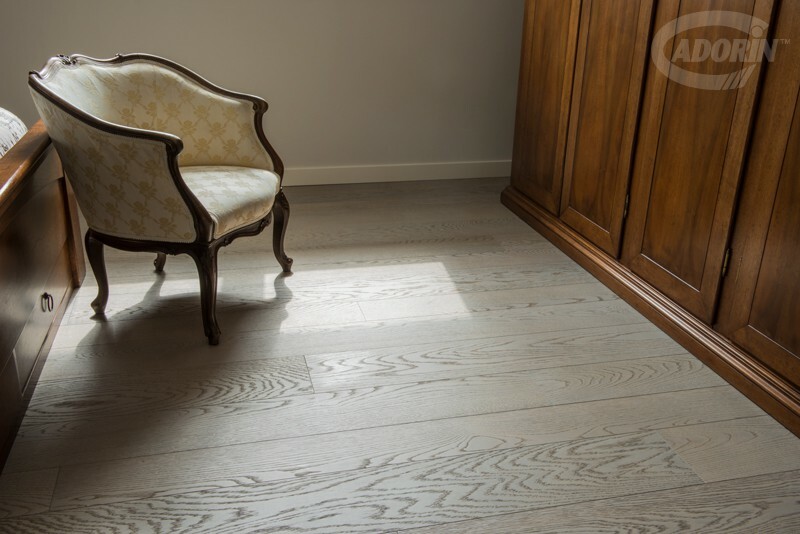 Wood flooring available with a brushed or sandblasted working. 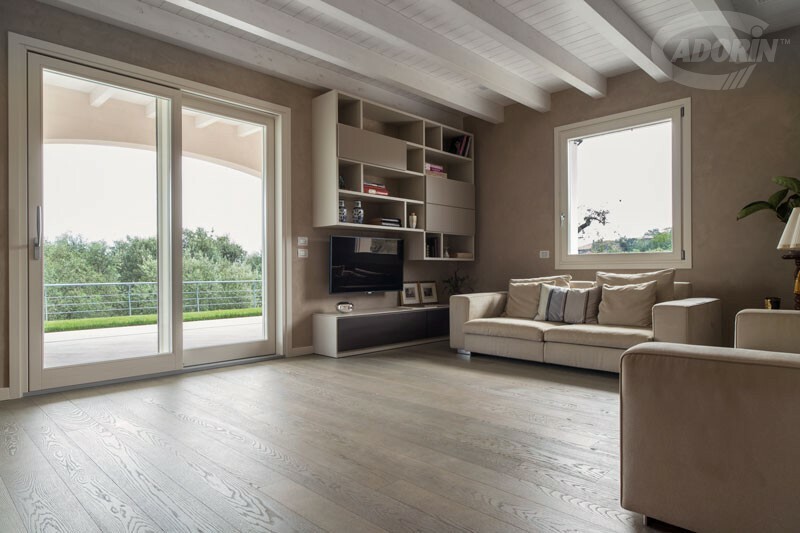 Wood flooring adds warmth, elegance and comfort to your home. 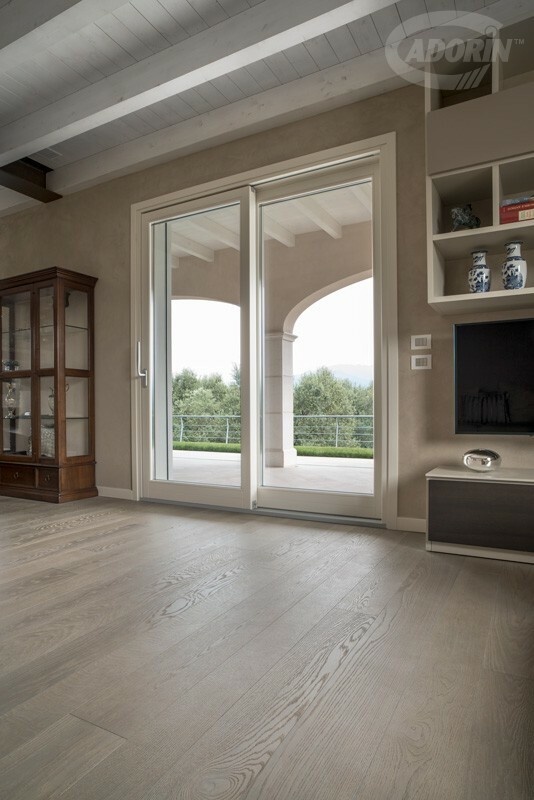 Moreover, a wonderfully snug feeling that only a natural material can offer. 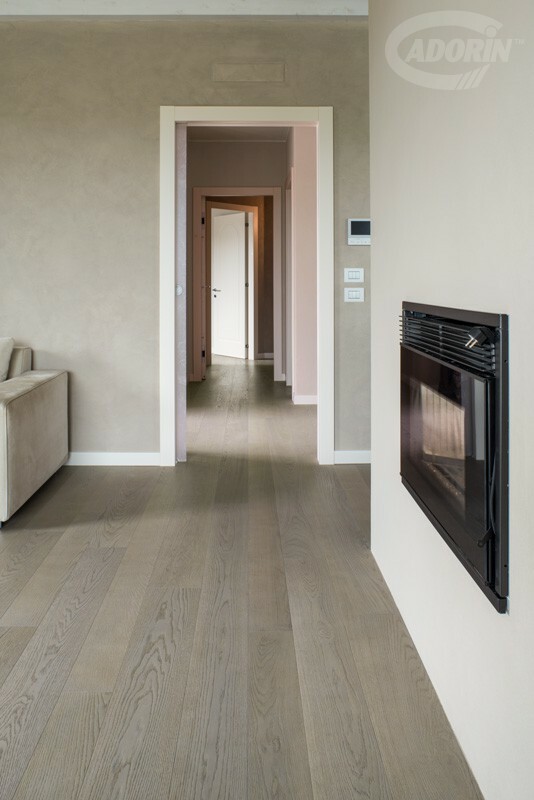 With this in mind, Cadorin's wood flooring comes with a wide assortment of different finishes and surface machining to enhance the natural beauty of the timber. 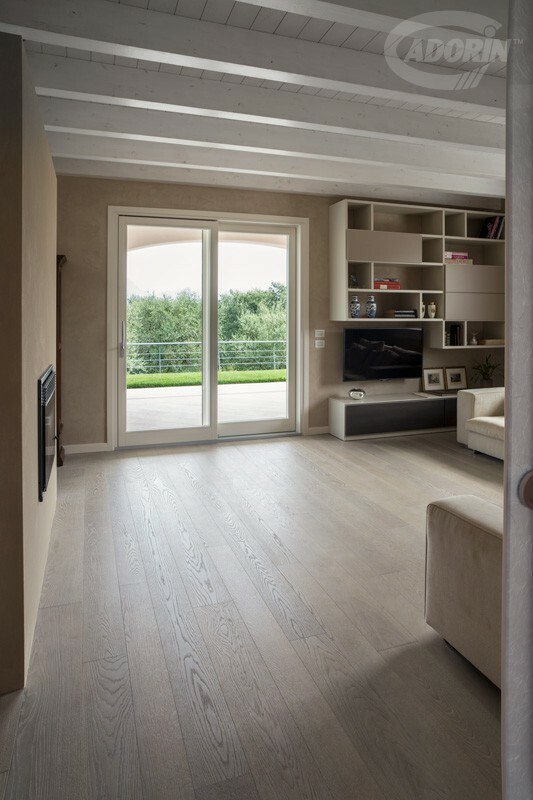 The aim is to create a sense of cosiness and cosseting as you walk barefoot around your home after a hard day's work. 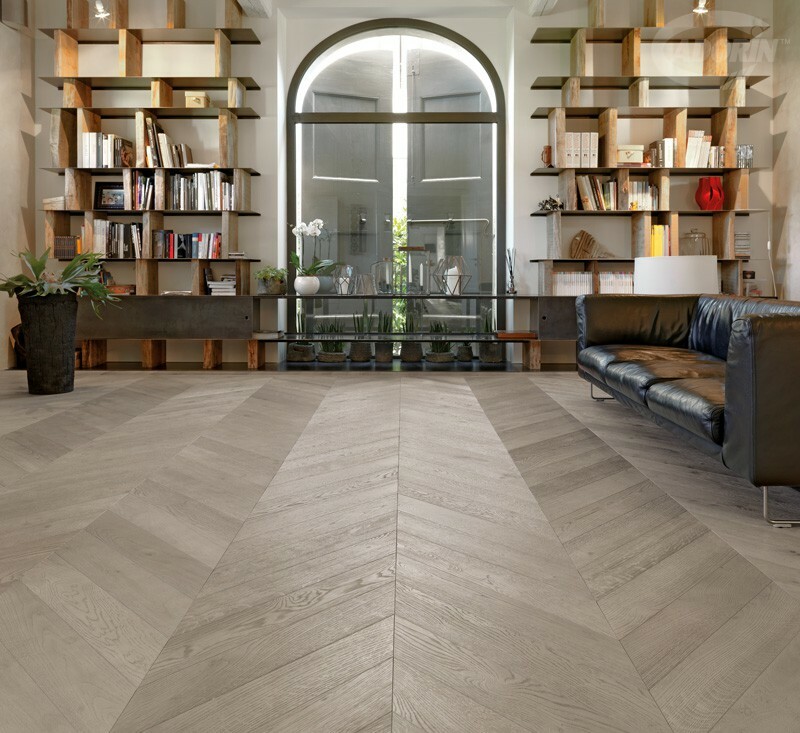 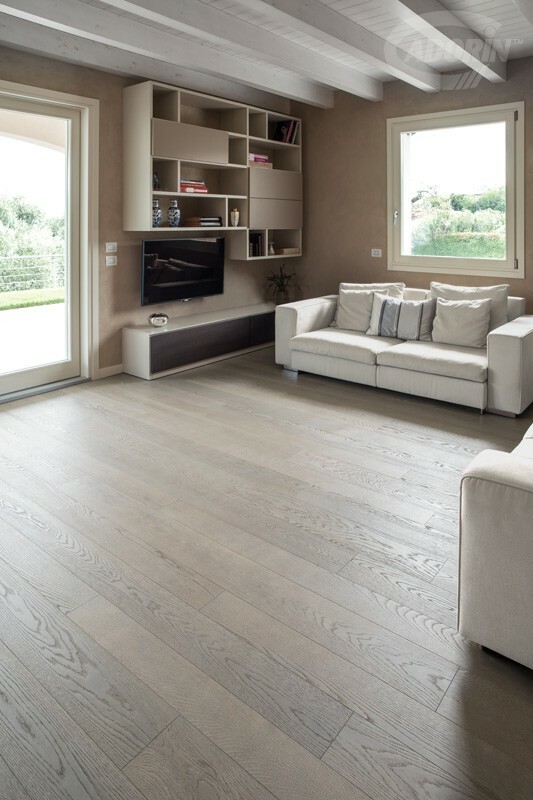 European Select Oak Cadorin – Grey Sand planks are finely “brushed” to reveal the ageless beauty of the gray shades naturally occurring in the soft sand colour of the timber. 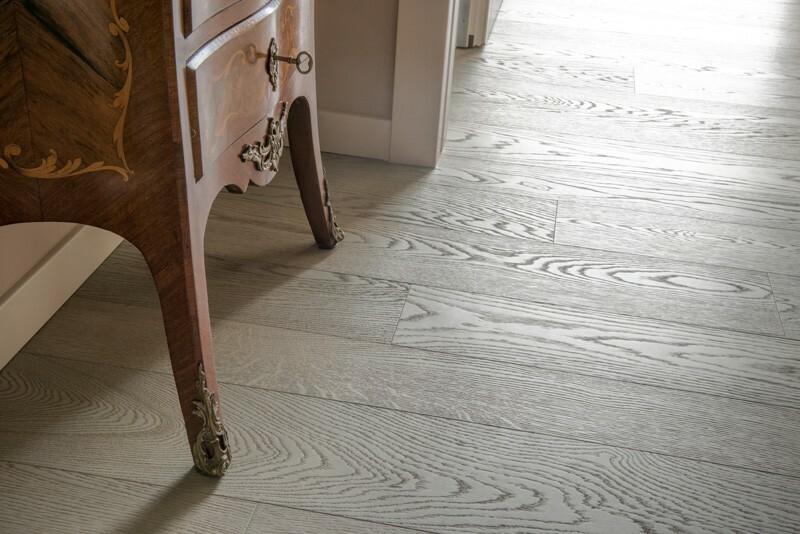 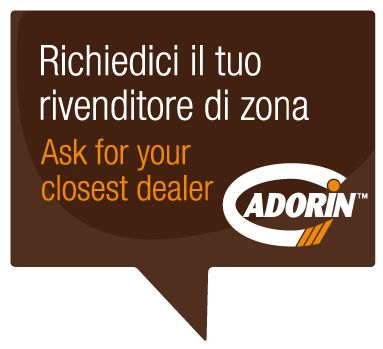 A special Cadorin varnish finish with the warm welcoming colour of Grey Sand enhances the characteristic grain of noble Select European Oak, rendered more evident thanks to brushing. 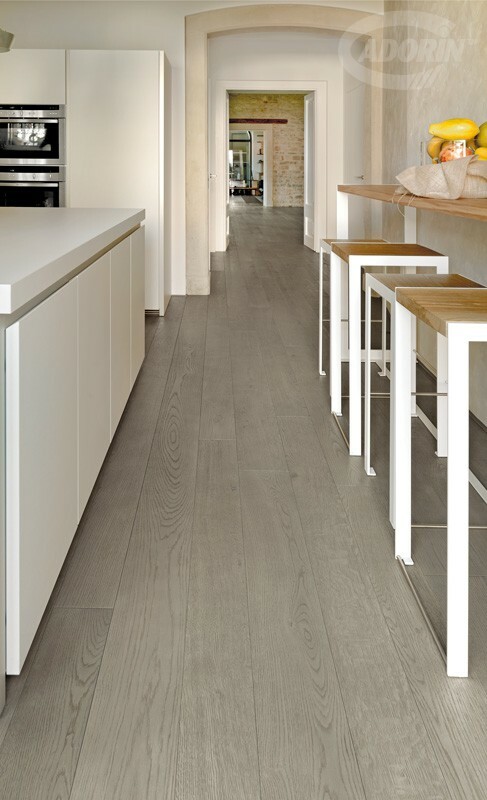 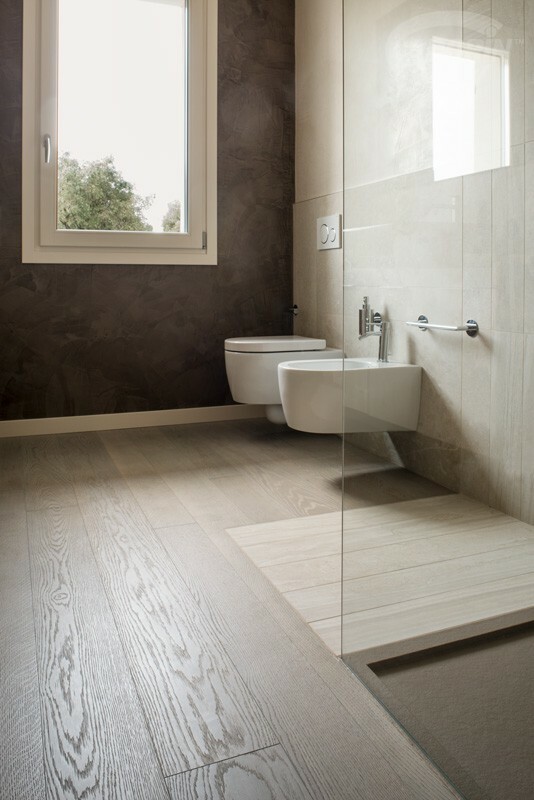 Our GRIGIO SABBIA finish is suitable for both "brushed" and "sanded" planks. 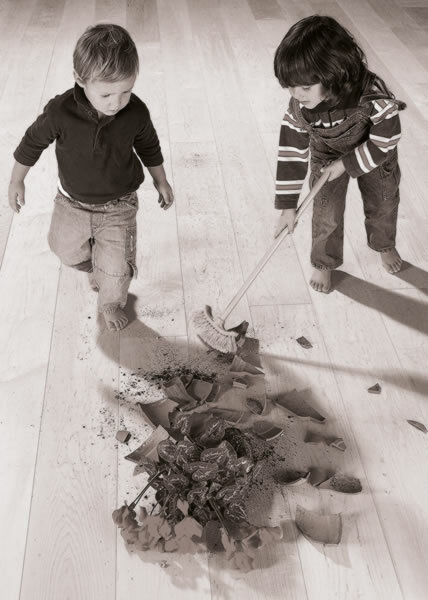 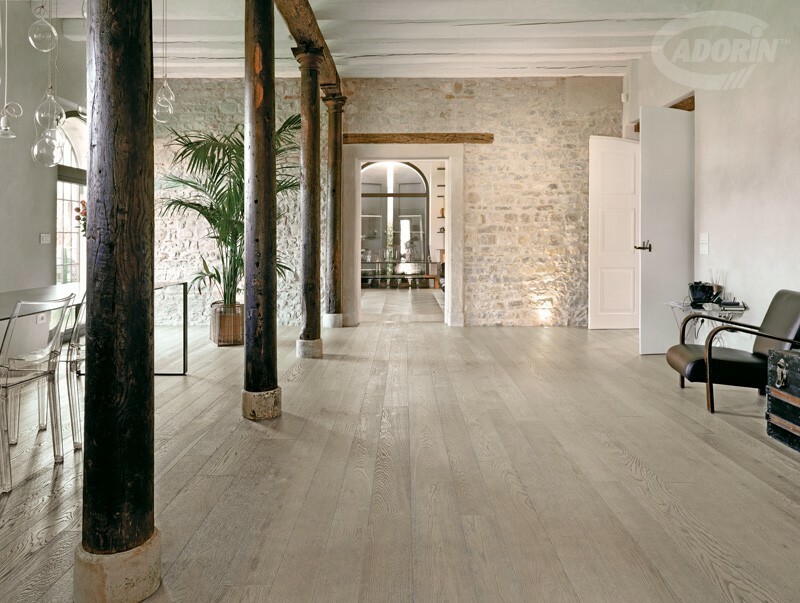 While brushing reveals the grain, sanding creates relief effects in the fibre of the timber. 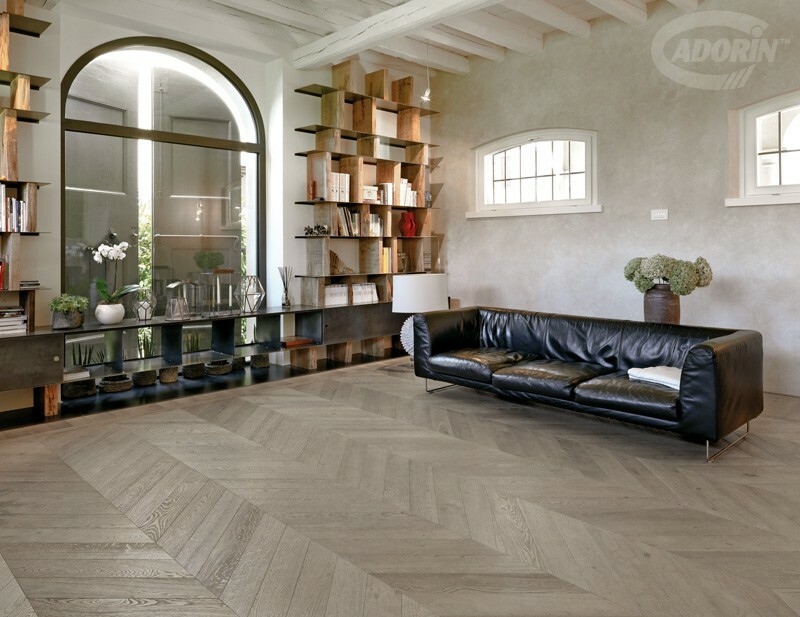 Both machining techniques make the surface more resistant to footfall and increase the prestige and aesthetic beauty of the flooring. 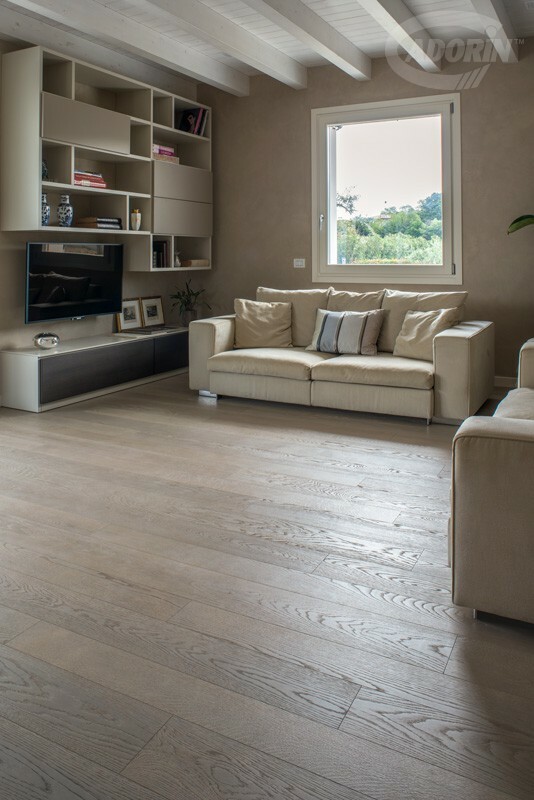 Select European Oak is one of the most attractive timbers because of its wide flamed fibres and narrow stripes. 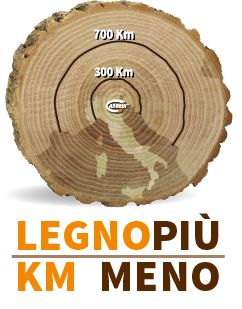 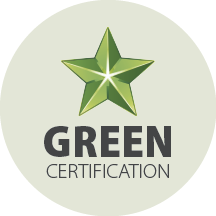 A top-of-the-range botanic species widely appreciated for its fascinating grain. 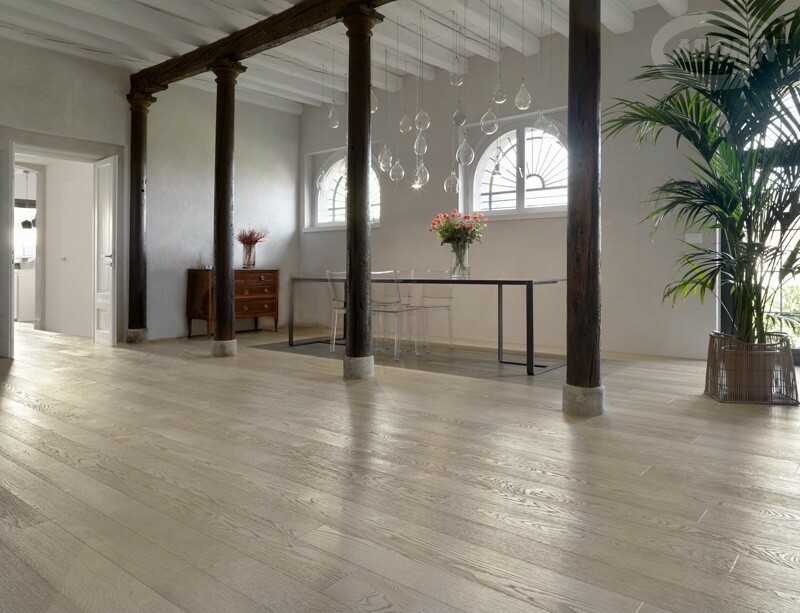 European Oak is one of the timbers that benefits the most from finishing with elegant, fine varnishes or natural oils.